Capital city in Eritrea, home to a population of around 579,000 people, Asmara is at an elevation of 2,400 meters. 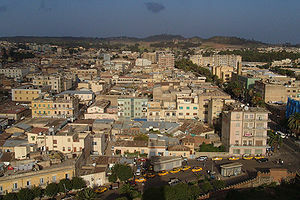 Asmara was populated by a numerous Italian community and consequently the city acquired an Italian architectural look. Asmara International Airport is located 4 km from Asmara.